I realised today that it's been a touch over eight years since I started this blog. That means I've been doing this for longer than I was at university, and I was at university for what seemed like a very long time. The blog's been going for twice as long as I was together with my first steady girlfriend, and it seemed then as if we were growing into middle age together. And this place is now as old as my second daughter, who is such a delight that I wish she could stay as she now is forever. It's been an interesting period of time. I was amused though to see that at the end of January 2010 I'd posted here about a Lost Battles play-by-email duel with long-distance wargaming mate John A (he keeps a very fine blog here) in which we were playing the Asculum scenario from both sides. At the end of January 2018 I also by accident found myself playing a play-by-email duel, using the same rules system, with long-distance wargaming mate Andrea T. Again, funnily enough, the scenario has been Asculum, from both sides. Quite a neat little piece of symmetry, I think. One final thing: as part of my first job in Japan I was lucky enough to teach a doctor who had served in the Pacific War. He was a lovely man with a keen sense of humour and many stories to tell. We talked a lot about the war when we could, and he used to joke with the other teachers about how he and my grandfather had been enemies. Now, thirteen years later, I have been engaged to teach him again. His circumstances are not now so good as they were. He is just months shy of reaching his century and has recently been moved to a rest home. While still fairly mentally sharp, he does not remember me at all, and I suspect that we will be getting reacquainted from week to week. It is a little sad, but again a nice piece of symmetry. I go to see him in the morning for our first lesson. I think my grandfather would have approved. Today the wife and kidlings were keen to make the trip to Osaka to attend a sale, so I had the opportunity to spend a couple of hours in Shinsaibashi to go check out the new Warhammer store and another similar one nearby. As it was the first time I'd visited miniature-wargaming stores in Japan, I was thinking that to be neighbourly I'd pick up a few pots of paint (or even some minis, if I could get away with it...), but the whole experience was a bit of a disappointment. The prices were triple what I'd pay for my usual paints, more yen per pot than I'd pay to order in Coat d'Arms from the UK, and the service worse than you'd get when asking about the contents of a riceball at the convenience store. I wonder if I've underestimated how spoiled I am being a collector of 15mm, a predominantly solo hobbiest (meaning I can play what takes my fancy without needing to follow trends), *and* resident in Japan. Even when including 20-40% shipping costs, 15mm gives good value for money in terms of spectacle (though the pound's fall is probably changing that now), and the low cost of locally produced hobby materials (paint, primers, brushes, washes, clear-coats, etc.) 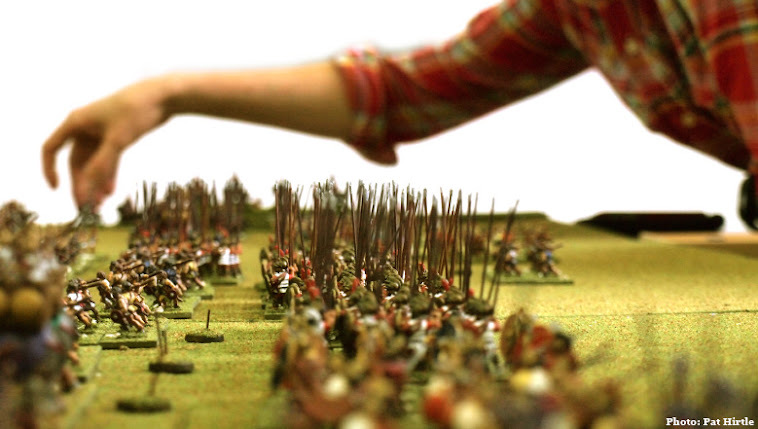 means that miniature wargaming has been, as a hobby, relatively inexpensive. I've also been very lucky in that the local hobby connections I have have been with genuine hobbyists, interested in the pursuit itself and in the passing on of knowledge and techniques, with the money to be made from it a side issue (though of course as an appreciative customer one wants to direct as much of one's hobby money as possible to those people!). If I were the kind of person to work these things out, it would probably have cost me more per year to be a keen gym-goer or snowboarder here than it has to be a lead-importing wargamer. So, all in all, today's visit was an educational if not greatly edifying experience. I wish them well, but I probably won't go back. I was hoping that other avenues would open up, but in the last month I've had to face up to an uncomfortable truth: my usual 'colour powder' flock has been discontinued by the company which made it and replaced instead by a new line of static grasses. No joy online, no joy in stores, no joy posting on local FB groups; stocks are, in a word, extinct. Now, I'm actually a bit of a stickler when it comes to basing. I'm not much of a painter and my basing style is very - ahem - 'basic' but with that comes consistency, so I know that when I line the armies up on the table they are going to be compatible, and that you aren't going to see heavy cavalry in idyllic meadows, heavy infantry on wintry farmland, slingers in bogs, light cavalry in stony hill country, elephants in desert wastes and so on all in within a couple of square feet of table. But now I know that at some point in the future I'm going to run out of flock mix. It's a little glimpse of Armageddon, and I don't like it!